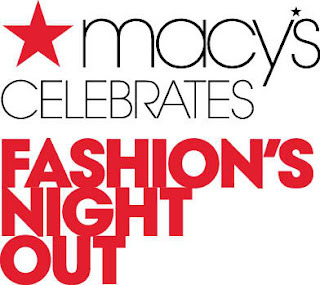 Fashion's Night Out is Thursday September 6th and we are so excited about all the events happening this year. 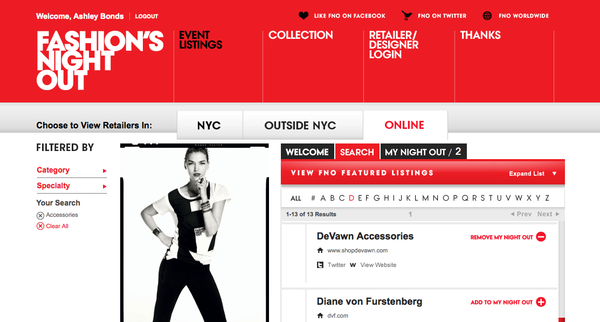 Here are some from our faves, but check out the official Fashions Night Out page for what's going on in your area. Co-hosted by ChiTown Fashionista, the fashion presentation will kick off at 6PM on the 3rd floor (Impulse Department) with a runway show styled by us and hosted by Detroit-native and Fashion Star audience favorite, Nzimiro Oputa. Afterwards, we’ll each have our own style “closet” setup for guests to chat with us about anything from styling the Fall trends to amping up your wardrobe this upcoming season. This NYC-based jewelry shop will be participating for the first time in this year's FNO...show them some love and get some good stuff!! 900 North Michigan Shops is teaming up with Michigan Avenue Magazineand McGrath Lexus and Acura of Downtown Chicago to host its 2nd Annual 900’s Night Out: Fame, Fashion & Flavor on Thursday, September 6th, from 6-9 pm! 6. Chicago Chocolate Tours "Chocolate & Fashion Tour! Sweet Meets Chic: our annual *Chocolate + Fashion Tour* is back! What: Join the Chicago Chocolate Tours annual Chocolate + Fashion Tour for a guided walking, tasting, shopping, and browsing tour to chocolate shops and bakeries, plus fashion boutiques! New for 2012: the tour will take place on Chicago's "Fashion's Night Out." $50 per person includes chocolate, gift bag, and Champagne. When and where: Thursday, September 6, 2012, from 5:30 - 8 pm. The tour will start at the ground-floor concierge desk inside 900 N. Michigan Avenue. Advance registration please. Cost: $50 per person. Includes chocolate, gift bag, Champagne reception. Space is limited, and advance registration is required. You can purchase tickets online at www.chicagochocolatetours.com/buy, or by phone at 312-929-2939. Receive an extra chocolate gift if you pay with MasterCard. Or, contact us with questions. Prizes: Prizes will be given for Best Outfit, Best Attitude, Best Chocolate Knowledge, and Best Shoes (please keep in mind though that this is a walking tour)! Charity partner: National Runaway Switchboard. For more fashionable events, click here!